Define Media Group Inc. is an audience development consulting firm, specializing in enterprise Search Engine Optimization (SEO), Investment Advisory Services and Social Media consulting. Define helps audience development teams to develop a fundamental understanding of SEO best practices, and how many of their activities have a direct impact on search engine visibility. Define's team helps you to understand the SEO implications of audience development initiatives including syndication and sponsorships, feeds, widgets and apps, e-mail marketing, advertising buys and on-site advertising. Define also works with marketing and PR teams to develop programs for link analysis and link building, and to help them synchronize SEO with social media marketing and other forms of online PR such as reputation management, blogger relations and reader/consumer outreach. Define Media Group Inc. provides results-driven SEO consulting that targets your site’s current and future traffic goals. Define speeds implementation by providing a comprehensive SEO roadmap that addresses missed opportunities and ensures that your site’s content is fully leveraged. 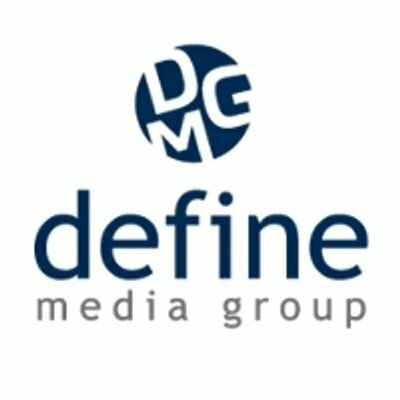 With their Investment Advisory Services, Define Media Group works hand-in-hand with potential acquirers to unwind and deconstruct the key metrics, channels, relationships, and market forces to determine the underlying risks, defensibility of the target business, and forward-looking opportunities. As a potential investor in a startup, Define Media Group can help you assess the category, the demand, the team, and external market forces to determine whether the opportunity merits your money. They are intimately familiar with both sides of the table, the venture investor and working at a venture-backed startup, and their analyses are rooted in a history of what it actually takes to develop a resilient and defensible online competitor.